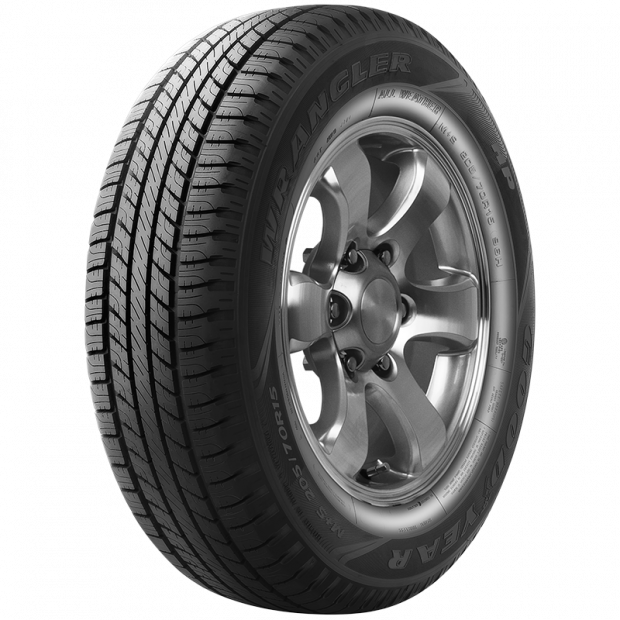 The Wrangler HP All Weather features a symmetric tread design with wide outer shoulders and large intermediate blocks to provide responsive handling and traction on dry roads. 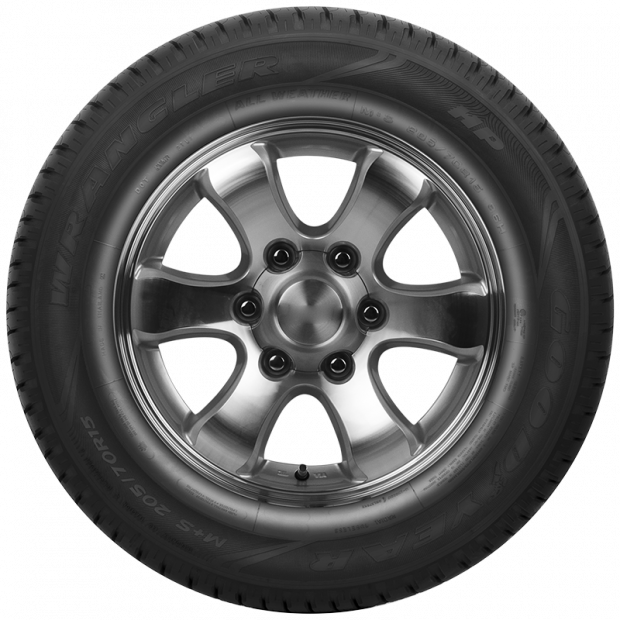 Wide circumferential and lateral tread grooves help evacuate water from under the tire's footprint to resist hydroplaning while strategically placed sipes enhance all-weather grip. 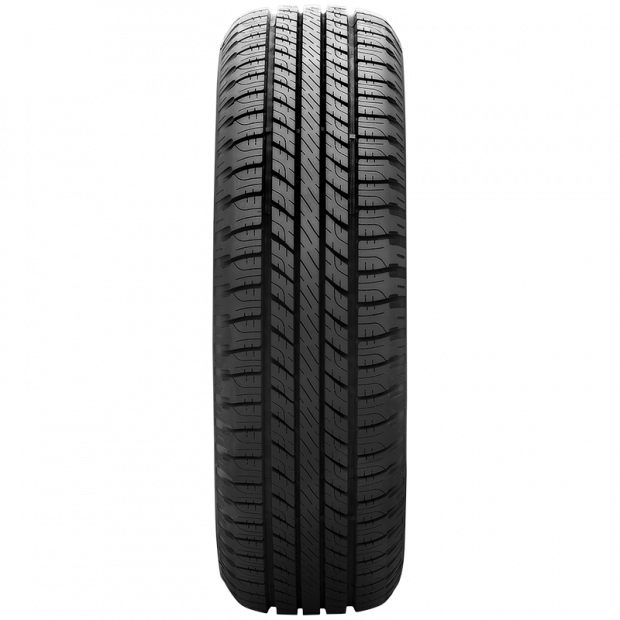 The tire's internal structure stabilises the tread area to boost handling and high-speed capability.